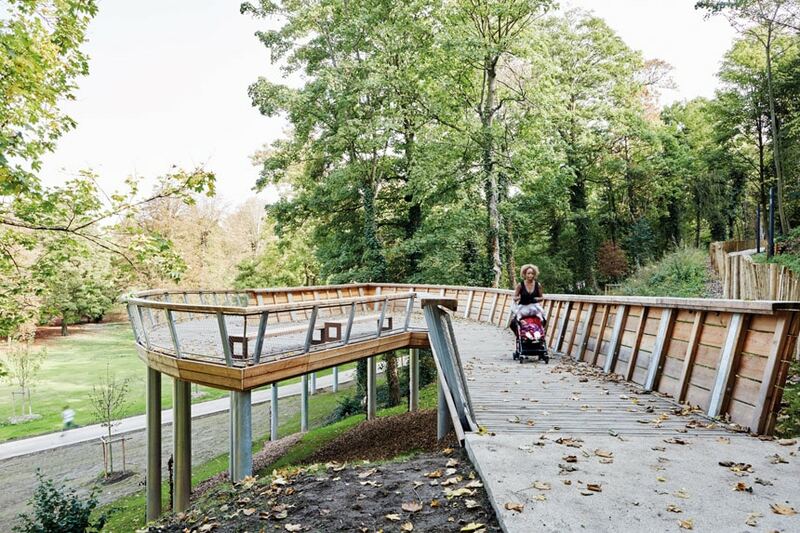 We all know that to design a footpath doesn’t mean to simply connect two geographical points. 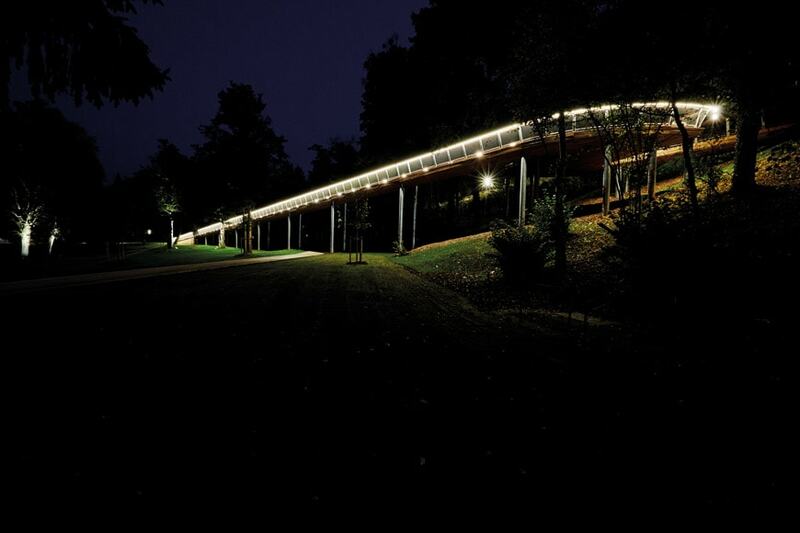 It means, instead, to create a “resonance” between people and the landscape in which such path will be located, to understand the peculiar qualities of that specific landscape, and establish the conditions for people to perceive and appreciate those qualities. 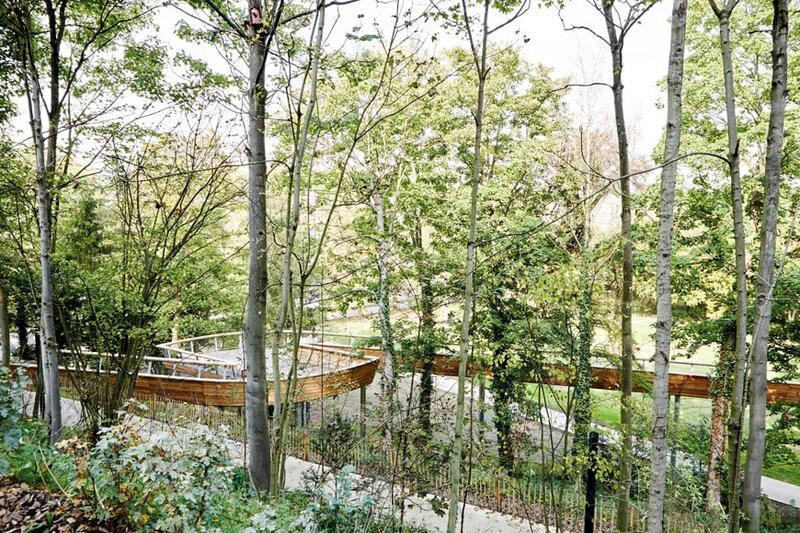 This “alchemy” is exactly the case of the urban ramp which connects the city center of Creil, a town in the Hauts-de-France region, with the banks of the River Oise, situated 40 meters above it. 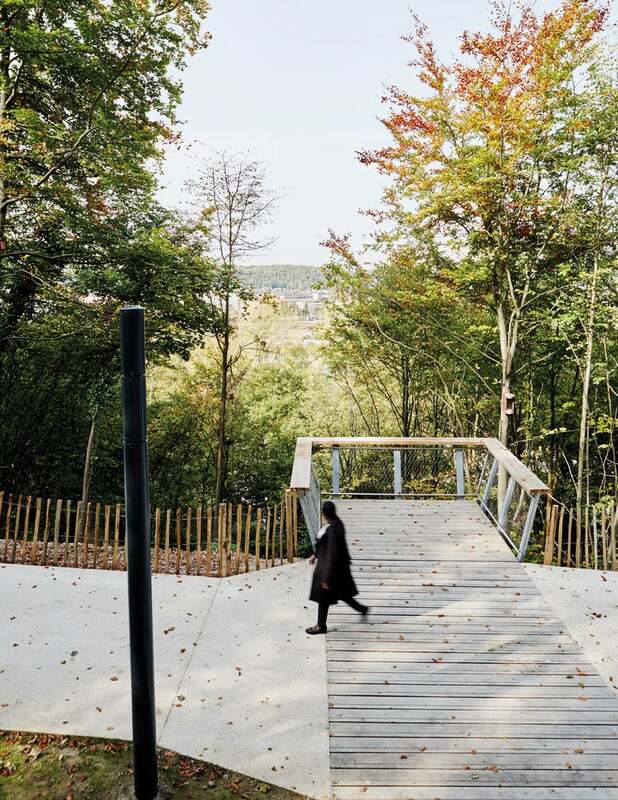 The project – developed by French urban and landscape design office “Atelier Espace Libre” with the support of the city of Creil – moved from a plan aimed to connect two urban districts into an ambitious landscape design which – by respectfully adding footpaths, ramps and panoramic terraces – also unveils the natural environment and the ecosystem of the Oise valley. The necessity of linking a suburban neighborhood built after World War Two with the city center – from which it is separated by a hill – and to improve urban accessibility provided the opportunity to conceive a larger project which comprised the regeneration of the Creil urban space, hydrographic network, and indigenous flora. 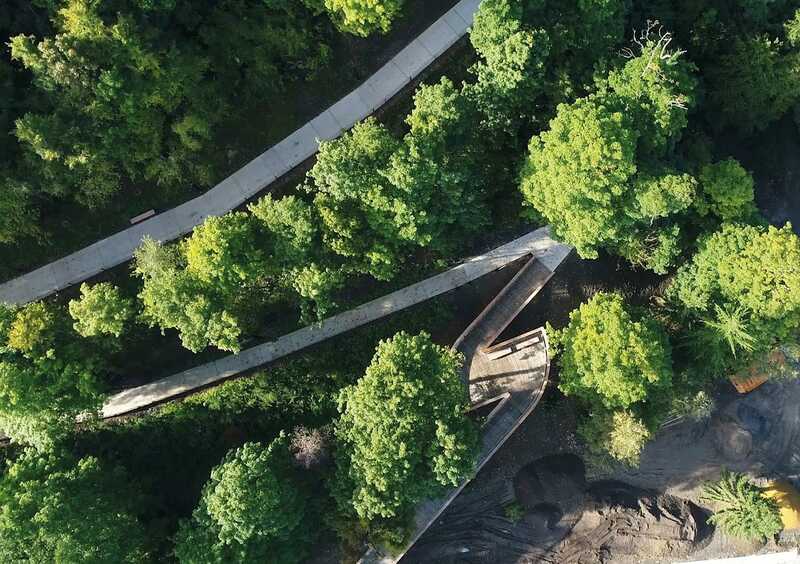 The 1.2-kilometer / 0,7-mile long footpath includes a 100-meter-long pedestrian bridge which, meandering across the treetops, ends with an observation deck providing exceptional views over the city and the river. 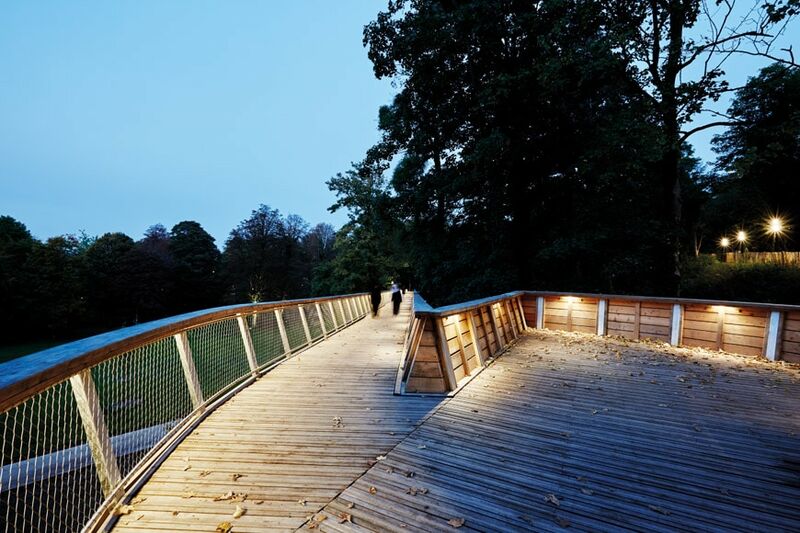 The structure of the bridge is made of steel and clad with oak and larch wood boards.